eCommerce trends have a habit of becoming blogging trends. Especially with regards to design and usability. What you see in an online store today, you will often see in a blog tomorrow. Do you want to take advantage of these trends? Researching a purchase on their smart phone on the commute to work and completing the sale later in the office or home desktop! And, where appropriate, some of these ‘researchers’ will actually visit a physical store. The modern business can no longer rely on one particular channel to conduct business! Currently and for the foreseeable future the OmniChannel Shoppers will reign. It’s now more important than ever that you optimise your store for visitors on smartphones and tablets. Overall, retail eCommerce sales have been forecasted to exceed $2 trillion worldwide this year so it’s high time that you make the most of your site’s potential by checking out the eCommerce trends that will provide you and your customers with the greatest value. You wouldn’t expect to hear that on an online store but you’d be surprised! A trend that accelerated in popularity in 2016 and will only continue to do so in 2017 is the live chat feature that has become available on many of your favourite eCommerce stores. Whether they’re speaking to a human staff member or, increasingly, an automated bot, by offering the one-on-one interaction received in a physical store, this real-time engagement has proven to help potential customers make faster decisions. Closely related to Live Chat. In simple terms, a Chatbot is a computer program designed to simulate conversation with human users – over the Internet. The chatbot is fast becoming the first point of contact an individual has with a brand. As artificial intelligence becomes more and more mainstream and chatbots ‘learn’ more from the questions being asked of them, you can expect to see their use becoming common place. Still on the fence about installing a chatbot? Studies show that users of live chat spend around 5-30% more on your site and the conversion rate increases by 5-10 times more after a chat session. Have we convinced you now? With these kind of results, we highly recommend that you place your new chatbot in a prominent location on each page, and make sure that it’s visible at all times so you can maximise your sales. Imagine if you only saw 10 posts on your Facebook timeline and then you had to go to the next page to see more. Feeling frustrated just thinking about it? I know I am. Yet pagination remains a common factor across the category pages of eCommerce stores even in 2017. Now think about the benefits of infinite scrolling. From a technical perspective, adding new content to the current page instead of loading a completely new, one improves both load times and overall performance. From the all important user perspective, it allows people to view more content without being interrupted. If this is true then why haven’t all eCommerce stores followed the path of social media sites and switched away from pagination in favour of adding infinite scrolling to their category pages? Turns out there are downsides to both methods. 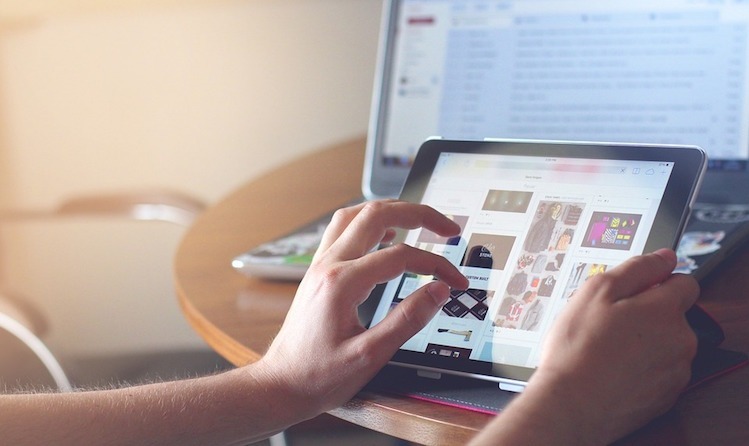 What research has found is that with infinite scrolling on eCommerce stores, users focused less on individual products and quickly scanned through a large volume of items. However, as you may have experienced with traditional pagination, users get tired of having to load page after page and so they end up viewing a lot less products. So what’s an eCommerce store to do? Luckily for you, you can actually have the best of both worlds by combining elements of these two methods. This is done by showing the first 10-30 products of the category on the initial page and then lazy loading another batch until there’s 50-100 products on the page. You then give the customer the option to “Load more” products with a button, then load another 10-30 products and repeat the process of lazy loading batches, before eventually showing another ‘load more’ button. By implementing this change to your online store in 2017, you can encourage a user to seamlessly view a larger number of your available products compared to before. In doing so, they can be sure to find the right product for them. Cinemagraphs are still photographs in which a minor and repeated movement occurs, forming a video clip. If you’ve scrolled through your social media feeds lately, you’ll know that the best way to immediately grab someone’s attention is with large, eye-catching visuals. This is also very important to keep in mind when designing your eCommerce store, as a whopping 92.6% of people state that visuals are the most influential factor when it comes to making a purchase decision. In short, a great design full of high quality and flashy pictures along with videos is the way to go! Having said that, bear in mind that customers on their mobile phones are wary of videos eating up their data. Therefore, a novel method of presenting something that may rise in popularity this 2017 is the use of cinemagraphs. Often published in the GIF format, cinemagraphs are still images with a minor repeated motion. See some great examples at Kitchen Ghost and you can purchase cinemagraphs at websites such as ShutterStock. They are visually arresting, yet maintain a small file size. As such, they are incredibly versatile and can be used to engage customers in emails and on websites – specifically as headers, product images and more. Analytics and hard data should be used when it comes making informed decisions – and this has never been truer in 2017. You wouldn’t want to waste resources optimising for large screens if the majority of your customers visit your store on their mobile! Consumer data is now incredibly rich and will continue to grow as more and more transactions are taken online. Who would’ve thought that everybody being glued to their smartphones 24/7 was a blessing in disguise? Using real-time analytics, you can now track how customers navigate around your store – where they click, what pages they visit, and whether this results in a conversion, abandonment or bounce. This data can then be used to create segments and buyer personas. Buyer personas and other forms of predictive analyses are some of the best uses of big data as you can use your greater understanding of your customer’s preferences and purchasing habits to optimise your site for conversions. This information can also be combined with marketing automation processes in order to target a potential customer with incredible accuracy. An example would be sending them a triggered email campaign at the time of day when they’re most likely to make a purchase. Easy and effective – what more could you ask for? Do you ever worry that your customers are missing that face-to-face engagement that they’re used to when they’re at a physical store? Well, your instincts are right. Much like how you love it when the coffee shop you frequent remembers your order, your online customers want you to know their preferences and to tailor their shopping experiences with that information. You’ve likely already been doing this by chatting with your customers on social media and sending out emails that address them by name. Soon, this is going to be considered the bare minimum. Online shopping experiences will become more and more unique to each customer. Rest easy though, this doesn’t mean you’ll be buried in a mountain of work as most of these processes will be automated. With these systems you’ll be able to automatically recommend products and related add-ons to a customer based on their past purchases, physical location, demographic groups and more. In 2017 we will also see a marked improvement in the responsiveness of sites. As such, you will witness how technology adapts to each user based on factors such as their age; whether they’re right or left handed and how they hold their phones. The magic of technology, am I right? Hyperlocalisation will also be a major eCommerce trend, where a customer’s online and offline activities will be linked through geolocation technology that tracks the whereabouts of individuals’ mobile phones. Communications with customers based on this real-time data will give them the unique brand interactions that they now seek. Increasingly, website optimisation means mobile optimisation. This is one of the biggest eCommerce trends of recent years! 70% of mobile searches result in further action in less than 1 hour. However, 40% of users will switch to a competing site if the current one isn’t mobile-friendly. If you’ve noticed that your pages have high bounce rates, this could be the key to retaining those potential customers. In order to fully optimise your online store for the smartphone revolution, you’ve got to change the way you think about it. Desktop sites should no longer be considered the default, instead mobile sites should. What this means is that designers ought to think of the mobile version of the site as the original and then ensure that the page has a responsive web design so that it can adapt to larger screens. Due to this mobile-first approach, you’ll see changes including eCommerce stores having larger CTA buttons that are placed in areas that thumbs can easily reach. Overall, the number of actions a customer has to take in order to successfully complete a transaction will be greatly reduced. The checkout page in particular should be streamlined, with all inessential form fields removed so that users don’t have to input excessive amounts of text. To make things easier for customers, the right keyboard should be triggered for each form field depending on whether the user is inputting their mobile, email, postcode and so on. Also, remember to turn off auto-correct for certain fields like name and address. Instead of discouraging customers with a long form, use progress bars or accordions on your checkout page to guide users through. 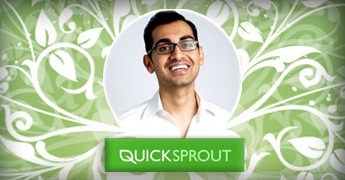 All these small changes should result in a marked improvement in your online conversion rate. What’s Material Design, you ask? How does this relate to eCommerce trends? Introduced by Google in 2014, Material Design is a set of design styles and principles for intuitively laying out a mobile app or website. For those who have used an Android device, Google Docs or a related product lately, you’ll be familiar with the card-based look and feel. But what exactly does this mean for you? It means that eCommerce stores should seriously think about incorporating aspects of these designs into the layout of their sites so they don’t get left behind when everyone heads down the path of minimalism. For some inspiration – check out this article about Airbnb design. Signs you should look out for which herald the rising popularity of this design template are larger, finger-friendly buttons and more white spaces on web pages which ensure that users are able to click the links that they’re intending to. Also keep your eyes out for an increase in websites using hidden menus instead of navigation bars. 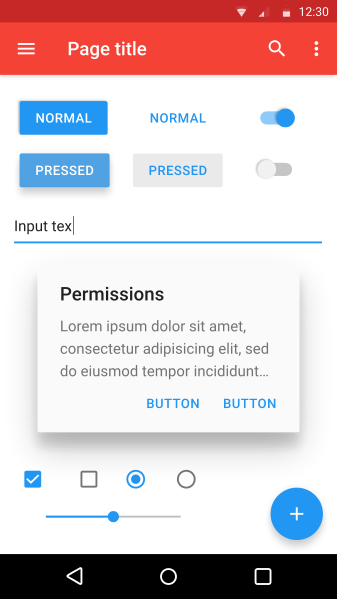 Also known as ‘hamburger menus,’ these are already a common feature in mobile apps as they are readily accessible at all times and can save valuable screen space. In turn, you’ll see a decline in hover tunnels on menus where you have to move your mouse along a certain path in order to keep the menu open. In fact, all hover features may become a thing of the past as desktop devices transition to becoming touchscreen enabled as well. 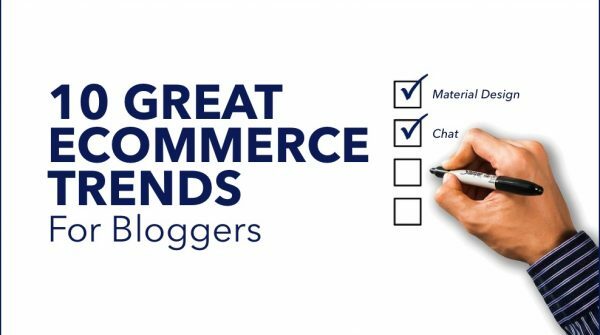 Keep on top of these eCommerce trends to ensure your future blogging success. Author Bio: Mark Binns is Digital Marketing Manager at acidgreen, a Magento Enterprise and Google Premier Partner specialising in eCommerce.